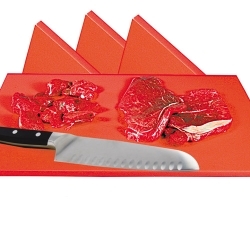 Color Coded Cutting Board Category | Color-Coded Plastic Cutting boards | U.S. Plastic Corp.
U.S. 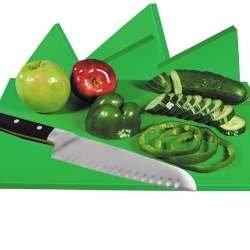 Plastic Corp.® carries an extensive selection of color coded cutting boards. 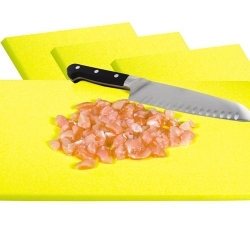 Our color coded cutting boards are made of Sanatec®, a high density polyethylene specially formulated for the manufacture of quality cutting boards. 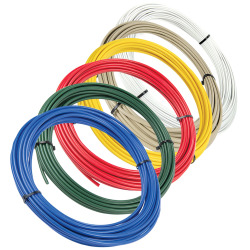 Sanatec®'s special surface finish insures long product life and will not dull knives. 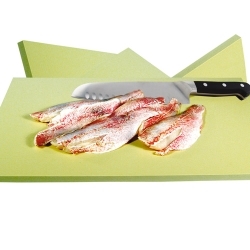 Sanatec® outlasts (up to three times longer) functionally competitive materials and is considered the strongest and lightest of all cutting board materials. 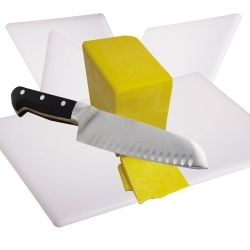 Sanatec® color coded cutting boards are acid resistant, will not chip, peel, crack or warp, no moisture, odor or bacteria absorbent, non porous, easy to clean and dishwasher safe. 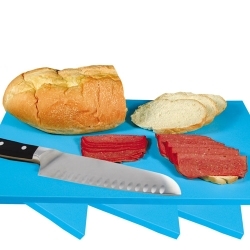 Sanatec® color coded cutting boards are made from material that meets FDA and Federal Specifications, National Sanitation Foundation, and is accepted by U.S. and Canadian Departments of Agriculture.